Meet the Rinnai Sensei Tankless Water Heater. It gives homeowners fast, endless hot water and more usable space. All components work together harmoniously to provide the best combustion performance possible. 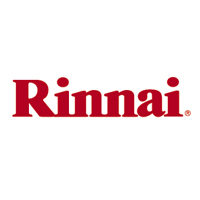 And like all Rinnai Tankless Water Heaters, it's vertically integrated, which means all key components are manufactured by Rinnai — to ensure Rinnai quality. Plus, it’s way faster and easier to install and service, so it makes homeowners happy now and later.